Remote Server Administration Tools, commonly known as RSAT, is a Windows toolkit which makes it easy for users to administer Windows Server from a Windows client machine. When RSAT tools are installed, the users get the same administration tools which they get in Windows Server. The tools include Server Manager, Microsoft Management Console MMC, Windows PowerShell Cmdlets, DHCP tools, Network Policy Server tools, Routing and Remote access tools, IP address Management tools etc. Remote Server Administration Tools are an absolute must for Windows Server administrators. The RSAT tools were not available for Windows 10. The administrators would have been waiting for these tools to be released by Microsoft. The latest RSAT tools for Windows 10 can be used to administer Windows Server 2016 which is still in Technical Preview. The RSAT tools can only be installed on Windows 10 Pro and Enterprise versions. Currently these tools are only available for en-US English language. If you have installed Windows 10 in another language, you will need to make sure that en-US is also installed in your system as an additional language. To install the language pack, on the Start screen –> Settings –> Time and language –> Region and language, and then click Add a language. Click English, and then select English (United States). When you are finished, close the Settings dialog box. 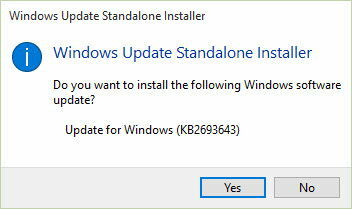 You will also need to remove all the previous versions of RSAT tools before installing the Remote Administration Tools for Windows 10. Why does the headline say “download RSAT for all Windows 10 versions” but then say in the body of your article that it can’t be downloaded if you have the Windows 10 Home version?